Listing your property on the Vermont MLS is the best way to sell, and listing for a low flat fee is the best way to list on the MLS! List on the MLS just like all other listings, and only pay a commission if a buyer agent brings you a buyer. If you sell your property as a FOR SALE BY OWNER Vermont, you pay no buyer agent commission, saving even more in commissions. There is never a fee at closing to EntryOnly.com. You only pay the up-front fee to get your property listed in the MLS. There is never a fee to make any changes to your listing. The listing term for the Basic Listing is 6 Months. You can “Temporarily Withdraw” your listing anytime if you need to take it off the market.You can also terminate the listing anytime before you accept an offer. The listing term for the Enhanced Listing is 12 Months. You can “Temporarily Withdraw” your listing anytime if you need to take it off the market. You can also terminate the listing anytime before you accept an offer. The listing term for this package is “Until Sold". However, every Listing Agreement requires an Expiration Date, so we do it for 12 months at a time. There will be no fee to renew the listing for another 12 months as long as the listing does not Expire or is Terminated. Sellers can offer as low as 1% to a Buyer's Agency Commission. We recommend at least 2%. You pay 0% Commission if you sell your property to a Buyer that has no Agent. If there is no Buyer's Agent, then you pay NO commission. Basic Listing includes an 800 characters MLS Description. Seller provides access to the property. 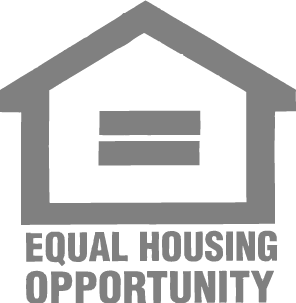 Vacant properties can be places on lockbox. We can provide you with all the appropriate forms to complete your transactions. 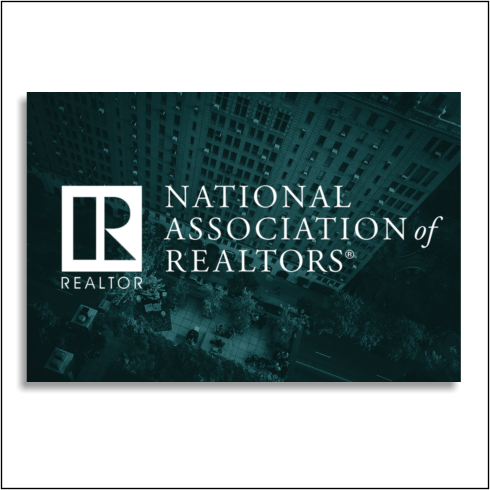 All forms approved by the National Association of Realtors. Your listing will automatically appear on Realtor.com, Zillow, and Trulia. In select markets, if you want to keep your Zillow “For Sale By Owner” listing, we can turn the feed OFF from the MLS. Your listing will automatically be posted on Facebook, LinkedIn, and Twitter. You can also share your listing if you have your own social media accounts. Buyers/Agents contact the Seller directly to set up showings. The Seller’s contact information appears in the “Showing Instructions” in the MLS for the Buyer’s Agents to see, so they do not have to look any further than that. It is also on www.EntryOnly.com for Buyers to see. If a Buyer or Agent calls our office, there is a 24/7 live receptionist that gives them your contact information, and any email inquiries received are forwarded to the Seller. 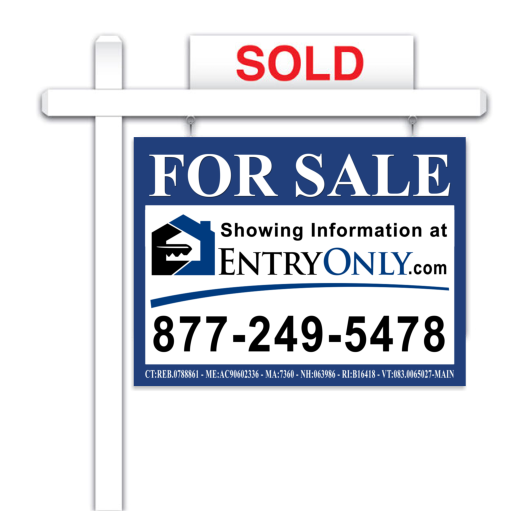 However, per MLS Rules, it is a violation to have a Seller’s contact information to appear in the MLS description. Regardless, all callers are instructed to contact the Seller directly. 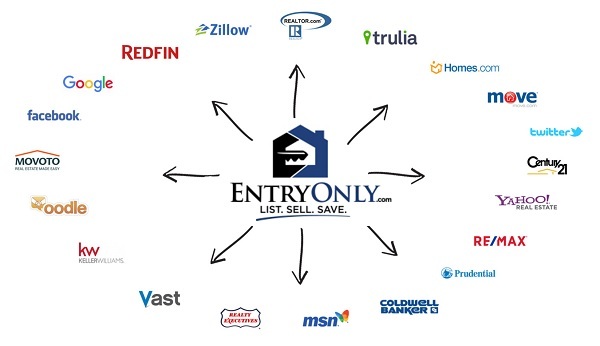 Even better, EntryOnly.com has a unique and highly precise broker referral process (it’s actually an algorithm that we run that we also verify personally) that takes into account the track record of Traditional brokers in your town, adjusting for the price range and exact location of your property as well as the number of listings that the potential brokers have. This way, you have a high-preforming Traditional broker referred to you that has been matched to your particular situation, to increase the likelihood of a highly successful sale. We will periodically check in with you if it looks like you might be needing the services of a Traditional agent and this referral matching program. Feel free to call/email anytime with any questions. We have a 24/7 Live Receptionist that will give Agents/Buyers your contact information anytime they call our office. Your contact information is also on EntryOnly.com. Your MLS listing is guaranteed to be entered within 24 hours. Typically, the same day if we receive by 5pm EST. We can provide with a Market Analysis upon request to keep your property priced appropriately. A licensed Broker will review your contract to ensure there are no “red flags” and provide you with options to move forward with your sale. A licensed Broker can prepare Offers to Purchase and Purchase Contracts for you. We only use “National Association of Realtor” approved forms. A licensed Broker can assist you in negotiating with Agents and Buyers to ensure you receive the highest purchase price possible. Also, to advise and negotiate after inspections are completed, and there are requests for repairs or credits at closing. Let us put our years of experience at work for you! A licensed Broker will guide you through the selling process after accepting an offer, including scheduling inspections, appraisals, sewer and water tests, and obtaining smoke/carbon minoxide certificates, and final utility readings. You can call/email for Broker Consultations whenever the need arises. Makes online signing sales contracts simple and accurate. This is a fantastic option! 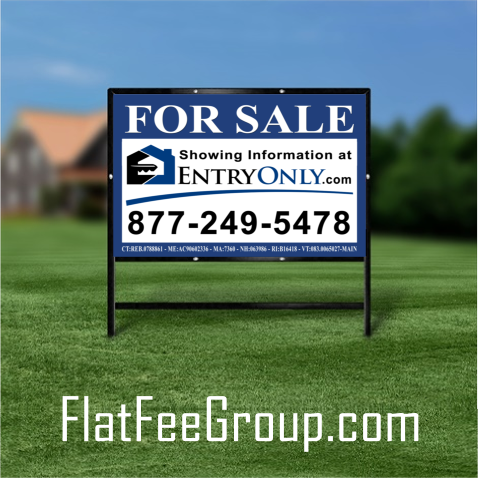 Flat Fee MLS Listing in Vermont is the practice in the real estate industry where a seller enters into a listing agreement with a real estate broker who accepts a flat fee rather than a percentage of the sale price for the listing side of the transaction. The buyer's broker is still typically offered a percentage though that could be a flat fee as well. A discount flat fee MLS brokerage typically unbundles the services a traditional real estate brokerage offers and list the property for sale in the local multiple listing service (MLS) a la carte without requiring the seller to use its services for valuation assistance, negotiating, transaction management and showing accompaniment. Flat Fee brokers are real estate brokers, just like the national brand names, but offer discounted or unbundled services. Most flat fee brokers do offer full service brokerage services. In the Vermont MLS ®, the listing agreement between the Vermont real estate broker and the property owner typically requires the broker to enter the property into the MLS and provide other contracted services, with the broker acting as what the traditional industry has coined a "limited service broker". However, the flat fee industry prefers the term a la carte broker because the services are not limited. Instead freedom of choice is expanded to allow sellers to pick from a menu of services. 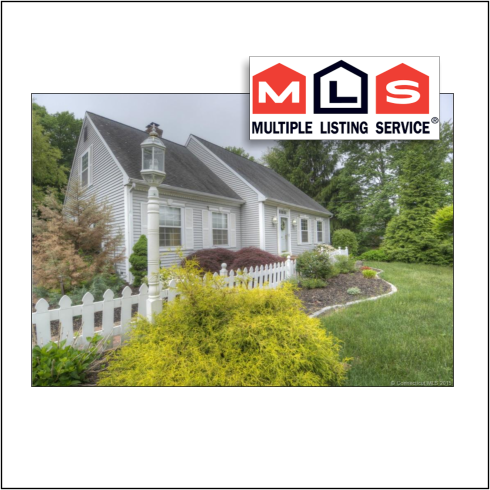 For Sale By Owner MLS Vermont ( Multiple Listing Service) is not different from traditional real estate brokerage services. Because the MLS requires a listing agreement between a real estate broker and property owner, the rapid explosion of discount flat fee service providers has created a gap in the States developing laws governing flat fee services provided by real estate broker.